Whether you are designing a jig or fixture for drilling, part removal, turning, grinding or any other machining operations, the ability to duplicate the quality, effectiveness, and accuracy of your finished product with the same geometrical attributes is tricky. It will ultimately depend on the proper design of their corresponding jigs and fixtures to be successful. Knowing this, it is interesting sometimes to see how some manufacturers handle this problem when they are designed and manufactured in-house. To be fair, the devices can be quite complex and manufacturing and process engineers often have the capability to design and manufacture them with supreme accuracy that keeps the product from being defective that uses the tooling. However, it’s a big risk to take because those tiny tolerances inherent to them can kill your design and halt production if they aren’t manufactured or replicated correctly. It is rare that any tooling or device will last indefinitely, and jigs and fixtures are no exception to this rule. In many cases, your fixture or jig break, and it will be entirely unexpected–you’ll need to act fast to keep it from impacting your production. Although a significant amount of time may pass before your company needs to repair or replace your fixtures and jigs, once they’re down, productivity comes to a standstill. 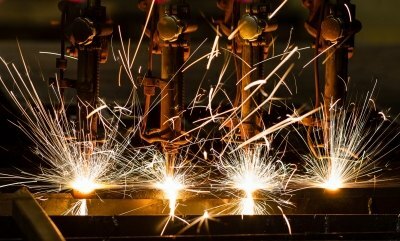 To avoid some serious impacts to your production line and supply chain, you’ll need to fix them as soon as you can or risk some serious consequences. That can be difficult when you’re understaffed, out of material, or at the mercy of any other number of factors that could keep them from being designed and built for the first time, or when you need to fix existing ones. They are often needed on the production line quickly, and in some scenarios that is impossible. It’s often better to outsource this to a supplier whose core competencies are in this area. You can supply them with your fixture and tooling design documentation, let them manufacture the initial design and walk it all the way to the final step you specify. That way you can concentrate on your core–production. The supplier can then keep up with the parts that are needed to manufacture the tools and supply them to you when they’re finished. If there are no formal or well-documented tooling designs present at the start of your outsourcing project, you can often work with a business that specializes in reverse engineering. They can put their engineering skills to work to understand the purpose of the tool, and to conduct time-consuming research needed to identify and obtain equivalent parts needed to replace the parts in the tool. By providing instructions and part information while working with the supplier that will be manufacturing your jigs and fixtures, it can mitigate your risk and keep your manufacturing line running without any hiccups. If there is a disruption to this supplier down the road—natural disasters, financial problems, or other hiccups to your supply chain, you have a redundant feature built in, where in emergencies, you can rely on your staff. They should have the detailed product specification records that enable you to produce the fixtures and jigs until the rough patch is over with your supplier. Elite Tech Engineering (Singapore) is an engineering design company which provides CAD outsourcing services and turnkey services.